Everybody is joining the microservices bandwagon and only some enterprises truly see the benefits of adopting microservices. The real challenge is not only cultural adoption but also a question of choosing the right technical tools to enable and secure your microservices. 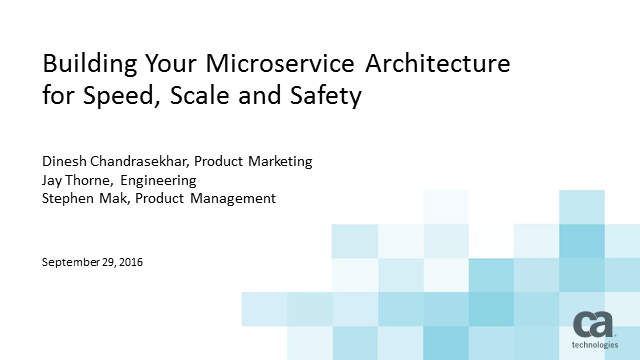 In this webinar we'll provide practical guidance on building and deploying a microservice architecture for speed, scale and safety.